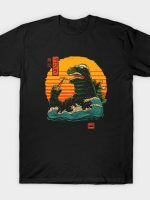 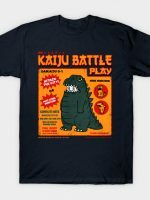 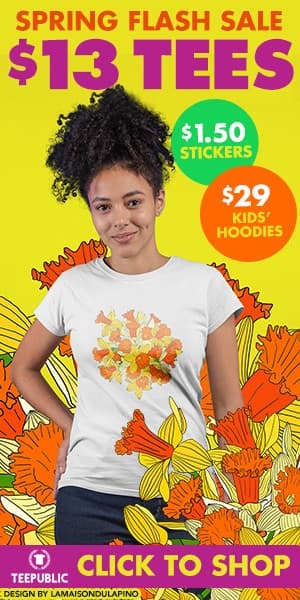 Godzilla t-shirt by polkadothero. 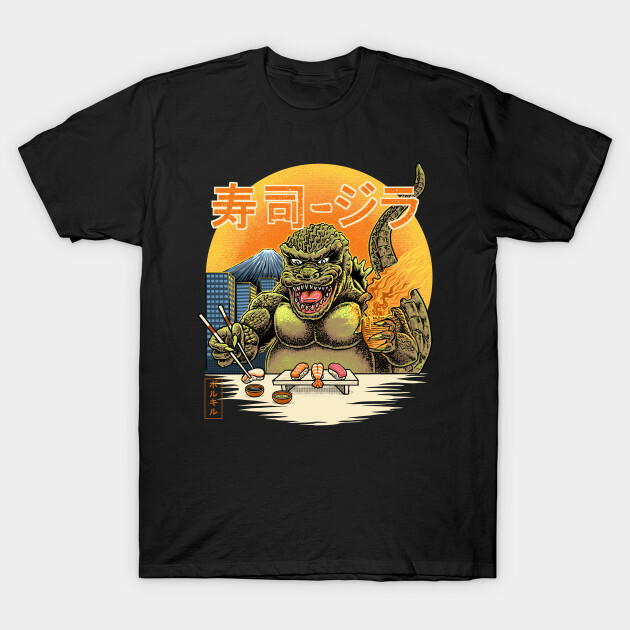 Show everyone that you are a fan of Godzilla with this sushizilla t-shirt. 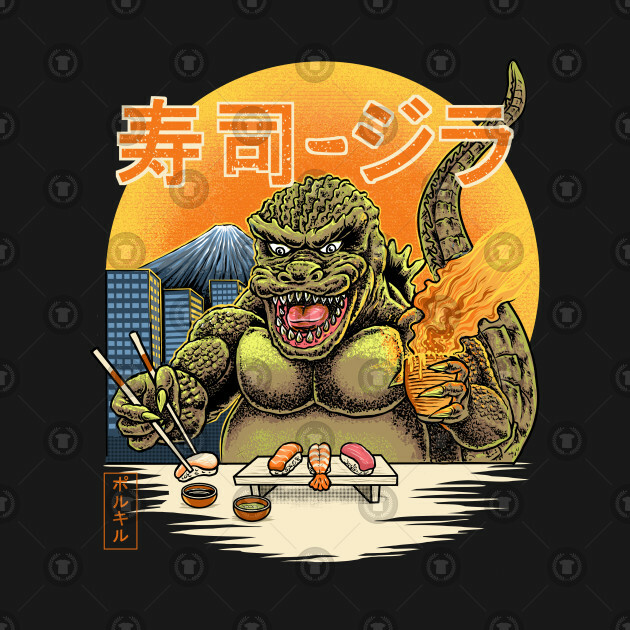 The king of monsters enjoys sushi.